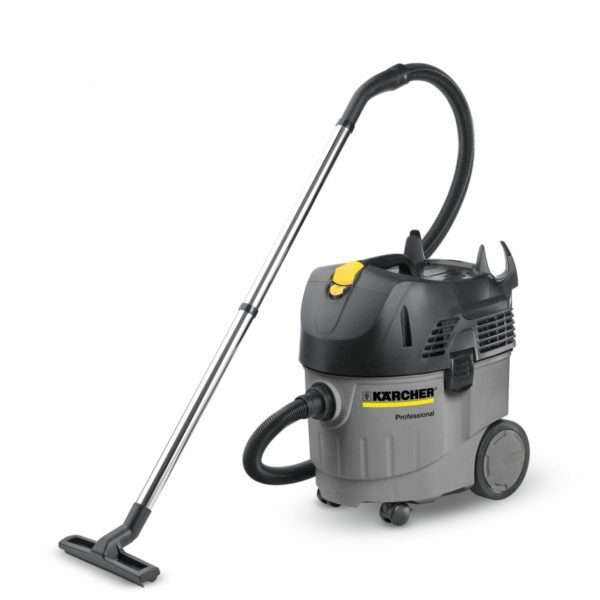 Special vacuum cleaner with innovative, automatic filter cleaning system. This machine accords to European standards and therefore is qualified and licensed of harmful dusts of dust class M.
Please contact our office on 01473 636663 for more information. The powerful and extremely robust NT 45/1 Tact vacuum cleaner is equipped with a world-wide unique, highly efficient, automatic filter cleaning device which allows the pick-up of huge quantities of fine dust with constantly high suction performance without interruption of work. This M class safety vacuum is equipped with the antistatic system (completely earthed) and electrically conductive accessories. This complete M-class vacuum cleaner is also suitable for liquid pickup.